Assam CEE 2019 Exam Pattern contain details like question type, weightage, marking scheme, etc. 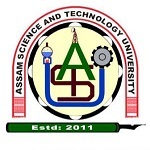 The Assam CEE (Combined Entrance Test) is a state level examination regulated by the Assam Science & Technology University (ASTU), Assam. This examination is a gateway for those students seeking admissions in engineering courses like B.E. Different colleges & institutions of the state of Assam consider the Assam CEE score for providing admissions in engineering courses. Assam CEE examination is conducted one time in a year. Through this article, candidates can check the Assam CEE Exam Pattern 2019. Courses: Students can get admission in B.E/B.Tech courses. Mode of Exam: The examination will be conducted through offline mode (pen & paper based). Use only BLACK BALL PEN. Subjects: Questions will be asked from Physics, Chemistry and Mathematics subjects. Exam Date: Assam CEE 2019 exam will be held on 28th April 2019. Language: The question paper will be asked in English & Assamese language. Syllabus: The latest syllabus of Assam Higher Secondary Education Council/NCERT is considered. Type of Questions: The question paper will contain multiple choice questions. Four optional answers will be provided for each question. Candidates have to mark the right answer only. No. of Questions: Total 120 questions (40 questions will be asked from per subjects). Marking Scheme: Candidates will get 4 marks for each correct answer. Negative Marking: One mark will be deducted for wrong answers. For un- attempted question no marks will be deducted. But for multiple answers marks will be deducted. Mathematics syllabus will contain topics like Dynamics, Integral Calculus, Three Dimensional Geometry, Statics, Matrices and Determination, Set, Relation and Functions, Sequence and Series, Mathematical Induction and Its Application etc. Chemistry syllabus will include topics like Surface Chemistry, Atomic Structure, Chemistry of Representative Elements, Some Basic Principle, Organic compounds containing Nitrogen, Synthetic and Natural Polymers, Nuclear Chemistry etc. Physics syllabus will contain topics like Electromagnetic Waves, Ray Optics, Solid and Semiconductor Devices, Unit and Measurements, Thermal and Chemical Effect of Current, Solid and Semiconductors, Rational Motion and Moment of Inertia, Work, Energy and Power and etc. If you have any other queries regarding Assam CEE 2019 Exam Pattern, you can leave your queries below in the comment box. Will bonus marks be given for questions which were wrong or didn’t have correct option? Can I get into JEC with it ? Is it compulsory to complete all the questions??? is there any partial marking for the multiple choice questions? How many multiple choice and how many single choice questions? 3 hours is alloted for each subject separately or it is overall 3 hours for the exam? 3 hours for complete exam. 1 mark will be deducted for each incorrect answer.